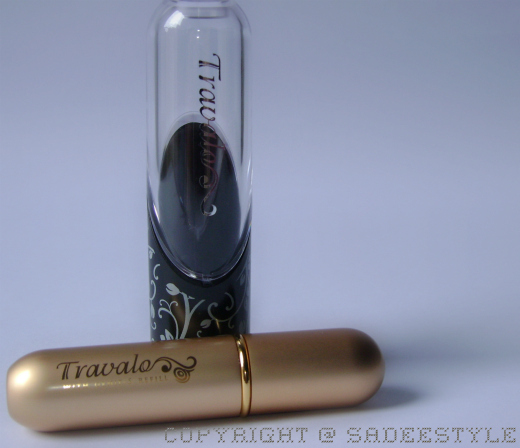 Today I have received my parcel from Travalo and very really excited about to share this beautiful and useful product. Many of you might not know what is the use of this thing. 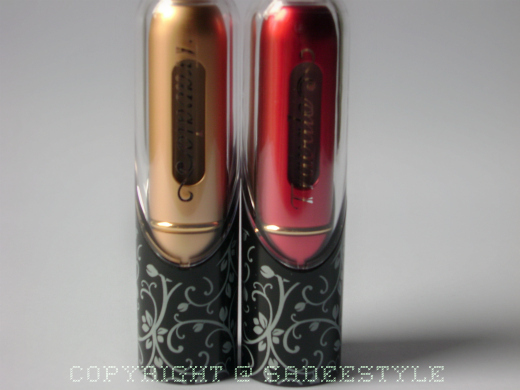 It's actually a Travalo Excel refillable perfume atomizer. 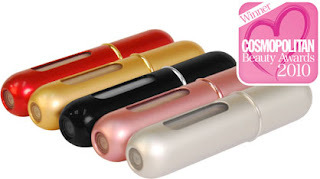 Sometimes when we travel we can not bring heavy perfume bottles with us in our handbag because carriyng a glass perfume bottle in our purse is like waiting disaster to happen. Travalo solved this problem to introduced thier product. 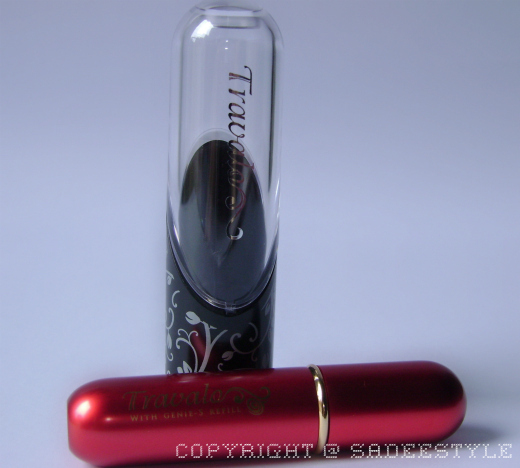 Travalo is good product which allows you to take your favorite perfume with you when you travel. 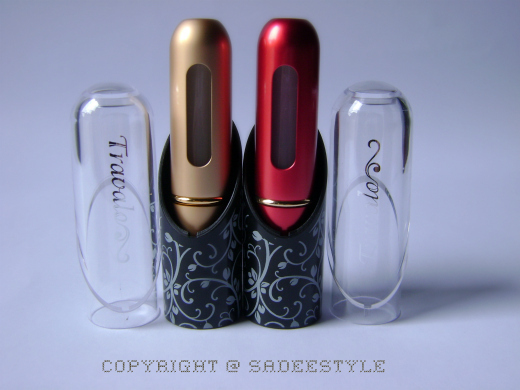 It's actually a refill atomizer. Its patented easy fill system allows you to refill in seconds with a simple repeat pump action. 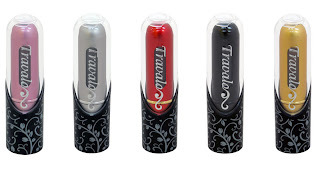 Travalo makes it easy and convenient to have a fresh confidence boost any time, anywhere. Now start with the packaging, when I recieved the parcel it was carefully wrapped in small carton and it took me about 15 mints to open that parcel. Somehow I managed to open the carton with the kitchen knife and found two beautiful atomizers in it one was red and one was golden. 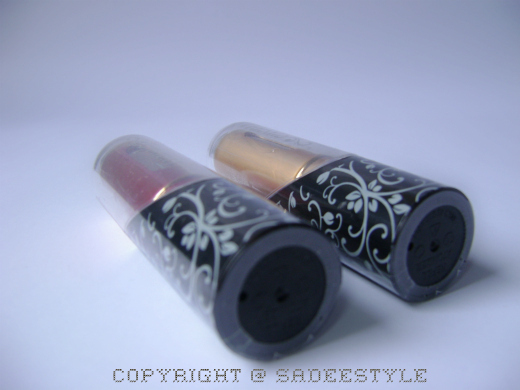 These are so beautiful and stylish as you can see in the image they were completely wrapped in a plastic wrappers. Travalo comes in beautiful printed vector design protective carry case provide protection from scratches and dirt when carrying your Travalo in your pocket or bag. Travalo is finger-sized at a convenient 8.6cm long and weighs only 20 grammes, yet when filled it gives over 65 sprays of fragrance, in a wonderfully fine mist spray that belies the diminutive size. 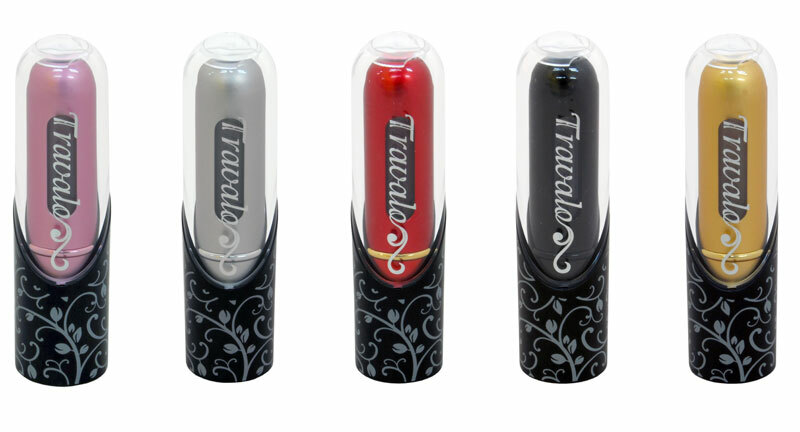 Travalo has an integrated fill level indicator window to show how much fragrance you have left, so you never run out unexpectedly. 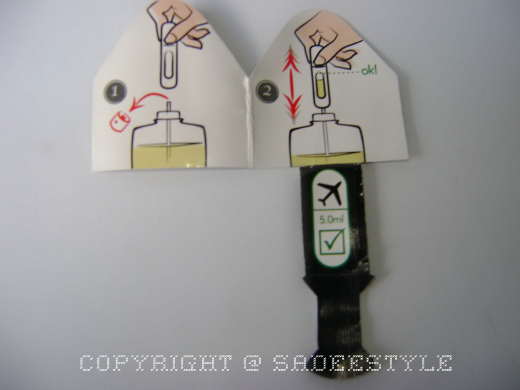 .You can find more details about this Travalo . so cute, i have to try these out! It is a must have :) Can you tell me where can we find it in Lahore? Thanks for following my blog,i am following back! This is so interesting though we don't get anything like this in India.